Not understanding and focusing on branding strategies is a common mistake that small businesses make, often leading them to their downfall. However, marketing your brand takes a large portion of your time, and time is a precious commodity when you’re running a small business. People are always debating about whether enterprises should outsource marketing or create their own marketing departments. 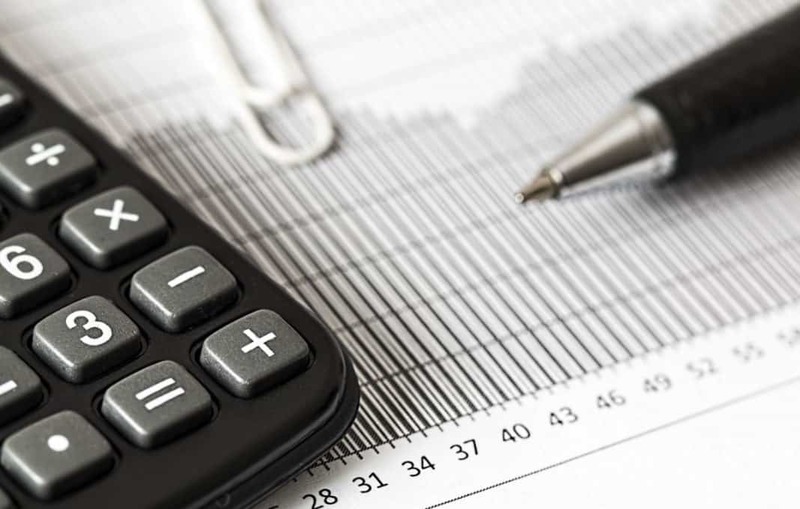 In many cases, it all comes down to finances, but other factors may play an important role as well. 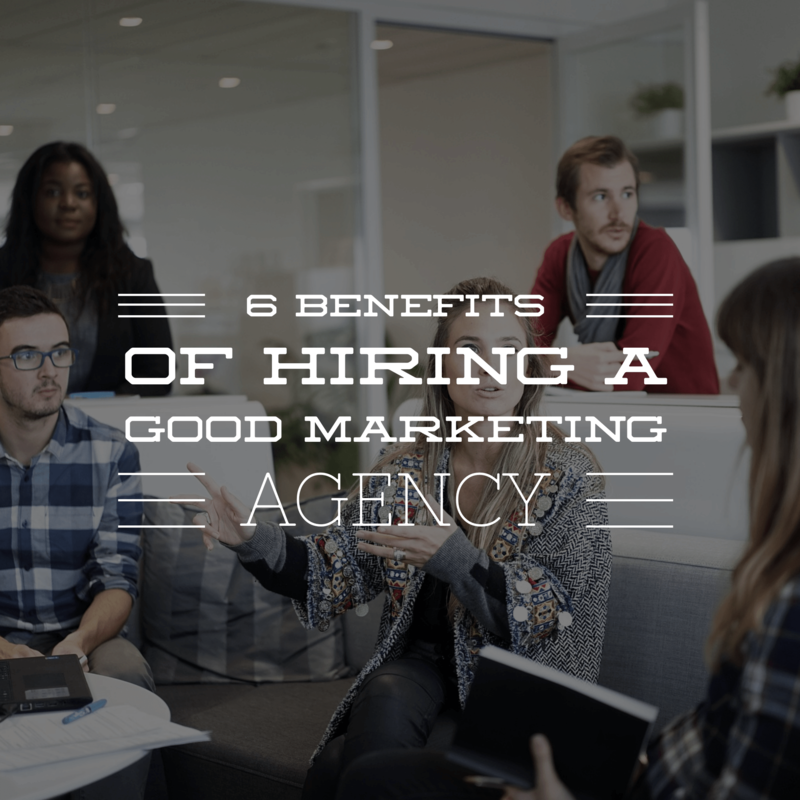 If you’re thinking of hiring a marketing agency, this is how you can benefit from their help. Today’s marketing is mostly driven by technology. This is why most companies don’t have enough resources to supply their own marketing teams with the latest software and apps. When hiring a marketing partner, you’re hiring specialized people who’ll do the work using the latest technology – from the latest big data analysis software to the content-producing equipment. This can give you a great advantage over your competition. Hiring new employees requires bringing them into your organization and helping them understand their role, which is the most time-consuming aspect of the whole process. Even after a few months, when the training process is done, company owners will need to create another layer of management to make sure that these new employees stay on their tasks. It’s different with a marketing agency because there’s no need for hiring, training, and managing employees. Everything is handled internally by the management team of the marketing agency, which allows you to focus on running your business. Today, companies are willing to pay large sums of money to retain their top talent. This is great news for those looking for a job, but not so much for companies who are hiring. The competition is fierce, and you’ll need a bigger budget if you’re looking to hire an expert. On the other hand, by hiring an agency, you will gain access to their team of experts that has probably worked on similar marketing campaigns in the past. They know what they are doing and how these things work. When it comes to marketing, things always need to be tweaked along the way. It is a fluid concept, so no marketing strategy is set in stone. Due to the limited resources, in-house marketing departments often underestimate or neglect this aspect of work. By having a marketing agency on your side, you can rest assured that your campaigns will be regularly adjusted for achieving the best possible results. When a company hires a digital marketing agency, the money is more likely to be invested properly. As the agency focuses on leads, they’ll spend time making sure you get the desired results. This helps you grow your business as well as save time and money. By working with your company on a daily basis, the experience and knowledge you gather along the way should help you understand your business better. 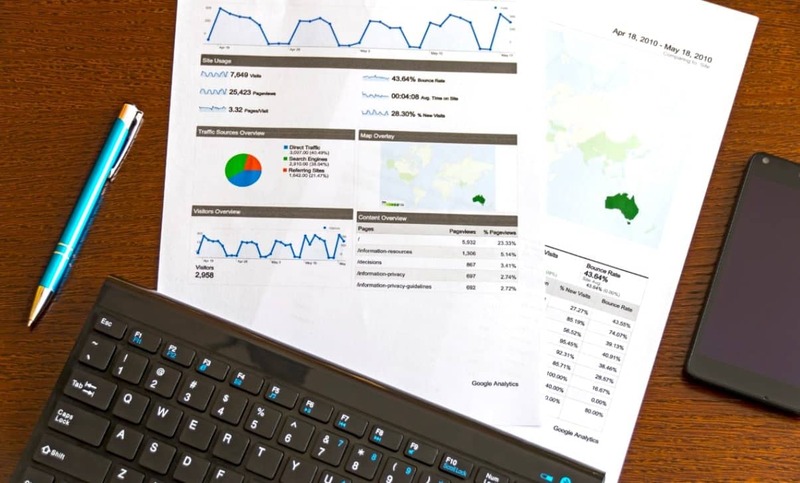 However, the data brought to you by a marketing agency can help you understand which aspects of your business you should optimize in order for it to grow and attract more visitors. In short, you’ll get a new perspective of your business. Once you transfer your marketing endeavors to an agency, you will get a chance to focus more on the core of your business. If you want to keep marketing processes independent from the core of your company, then you should consider hiring a digital marketing agency. With the right access, information, and better strategies, the agency can plan, develop, and execute fruitful strategies for your company. 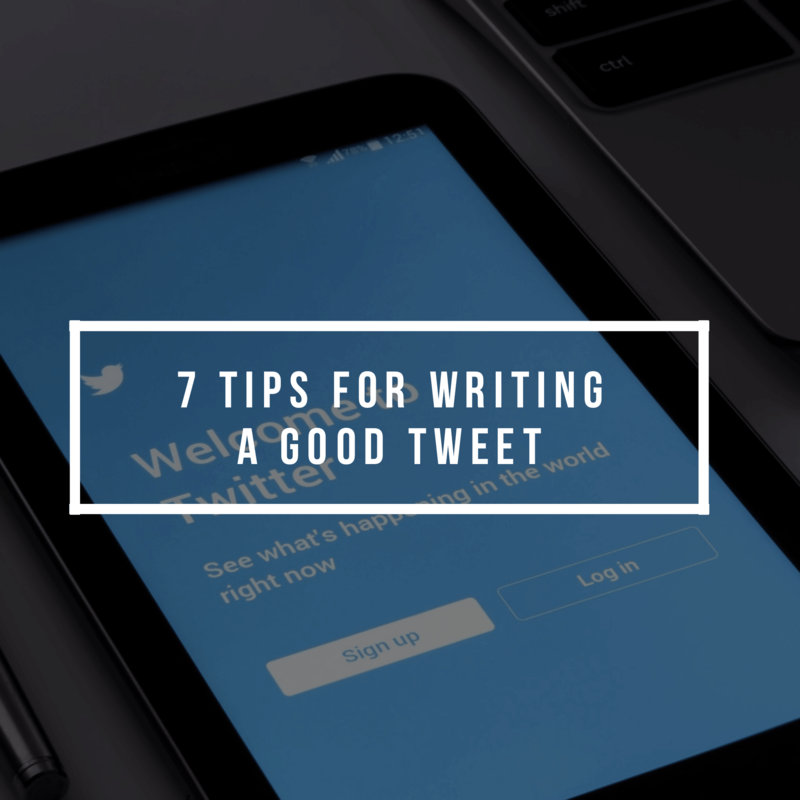 This guide will help you get the most exposure out of the tweets you write. 1. Use your release headline as a starting point. A good place to start is the headline of your news release, but don’t be limited by this alone. When writing your tweet, think about the words related to your news that people would most likely search for within a query. 2. Leave room for others to retweet (repeat) your message. Twitter limits each tweet to 140 characters, including spaces. When you broadcast your message through the SocialPost™ news release distribution service, we require that the message you write be limited to 100 characters. This allows us to link back to your full release with a 20-character URL, while also leaving 20 characters available to make retweeting your message easier for other Twitter users. If you don’t leave room for retweeting, people may cut words from your message and unintentionally change its meaning. 3. Keep it simple. Lose the fluff. It's important to keep the integrity of the message/headline while stripping away fluffy language that acts as "filler.” Stick with the basics: subject, verb, object. The best tweets use the fewest and most relevant words. 4. Use familiar acronyms and abbreviations. 5. Make it more search-friendly with #hashtags. Hashtags – Twitter tags or keywords – can help your story be part of a "conversation" on Twitter. They are generally used for nouns and industries, not company names unless it is a very well known company. Some very popular examples include #socialmedia, #marketing, #auto, and #tech. Note: Company names should stay intact. If the headline is too long, don't force a #hashtag. Never use #hashtags that have nothing to do with your message, as it amounts to Twitter spam. Remember, keywords and #hashtags must be relevant. Always strive to maximize the search opportunities for your message. Remember to post your tweet on your brand’s own Twitter page, and also encourage others to retweet it. Running a Facebook campaign is not as easy as it looks. This article will teach you the keys to unlocking the marketing potential within Facebook. Professional grade strategy creation and implementation is of paramount importance for the success of a Facebook campaign. If your strategy doesn’t measure up, then you’re essentially trying to cross the Atlantic in a kayak. Facebook is a sea of people. You need to give yourself the right vessel to reach them all. Your strategy is that vessel. The key is what guides you to a winning strategy which can drive awareness and sales. To provide people who have already gathered a reason to listen to you. The first key applies best to venues, business to consumer and retail companies. Reasons these companies can give include: offering coupons, deals, insider information, early releases, backstage passes or other events passes. The reason people would want to gather around you is to get what others can’t. By making your Facebook page a source for exclusive information/deals you incentivize people to gather around you. Don’t be afraid to be creative in offering something of value. By knowing who and where your consumers are and what they value, you generate reasons for users to join your page. City Lights Cruises, for example, a party cruise service, created a Facebook page to give away coupons and promote deals in the different cities in which they operate. By starting with a professional strategy, they knew where their customers were on Facebook and what they wanted. As a result, their Facebook fan page grew to over 400 fans in just a few months. The second key, providing Facebook fans a reason to listen to you, relies on great content. This is not just throwing up awesome video, a great piece of writing or funny cartoon. The first step is to know your target. It is only by knowing who you are trying to reach and listening to them, that you can create content that actually reaches and engages them. What is even better is that you do not need the absolute best video, writing, cartoon etc, in the world to have content that can help drive awareness and sales. Having professionals create your content will help to ensure that your message can break through the clutter in this saturated space. Poor quality work will undoubtedly get ignored or worse, dilute your brand. An example would be a law partner who specializes in personal injury and who is also a biker. By being involved in a group that may be more prone to injuries (knowing your target market), say bikers, you are able to gauge a need by the group for what their rights are if they get injured. By providing some basic information for free, such as legal rights of bikers, you become an active, trusted member. Another example might be if you own a company that services pets, giving advice, presenting articles, giving tips ranging from caring for a sick dog to where to meet other singles who like pets, would be great for a pet group. For best results, make sure this information is free. Sales will follow once trust and credibility are developed. While those keys will help point you in the right direction, success in Facebook marketing takes time and persistence. Facebook changes often - from layouts to advertising rules. Therefore strategies may need updating. The rules of the game are always subject to change. So unless you or your employees are prepared to put in the hours needed to run a campaign properly, you may achieve desired results. Hiring an agency that stays on top of best practices for Facebook and has run successful campaigns before is always a good option. More importantly, they may be the best option for you. They are the ones who are truly best and creating a strategy, finding your target audience developing content, implementing your strategy and measuring success. These mobile apps are your key to managing your company’s digital marketing on the go, from any location. The number of mobile apps available to help small-business owners with social-media marketing is mind-blowing. To get you started, here’s a quick look at the most popular platforms. Search engine optimization practices have evolved alongside the improvements and refinements search engines have made to their algorithms. In order to take full advantage of the Press, Release Optimization PR Newswire builds into the distribution of each press release, it’s important that you understand SEO practices and factors - and stay up to speed with shifting trends and tactics. The length of the press release is a make or break factor in the overall strength of its optimization. You can craft the perfect headline and use the best keywords, but if your message is too long it can become diluted, which means that search engines can’t index it as specifically. The result? The release drops out of the top search results and is less likely to be found by internet searchers. The optimum length is generally 400 to 600 words – between about a page and a half and two pages. This length is easy for readers to digest and comprehend, but it’s long enough to include the rich detail readers appreciate – which is also informative to search engines. And it’s not so long that key contextual points are drowned in a sea of less relevant detail. Link operative keywords or short phrases (two words is ideal) to relevant web pages. Do not use anchor text to link phrases like “for more information” or “click here.” Likewise, don’t link from descriptive language (e.g. colors, flavors.) Link from keywords only. The headline, Lead & Link. Use your most important keyword in your headline and your lead sentence. Link from the occurrence of the keyword in the lead. Less is more. Two links per 500-600 words are recommended, in order to focus search engines on your most important keywords. A clear, concise message resonates with readers and is appreciated by journalists. It’s also a key component of a well-optimized press release. Too many keywords and concepts can dilute your message, causing it to drop in the rankings for the keywords you consider most important. A tightly focused message that is truly relevant for your target keywords is more likely to be ranked, read and written about than a press release that tries to be all things to all people. Journalists have long complained about jargon and hyperbolic language in press releases. In addition to doing yourself no favors in the newsroom, jargon-laden headlines and press releases don’t resonate with searchers, either. Use the plain, accurate and descriptive language people use when discussing the product/service/initiative you’re promoting. You’ll be more likely to connect with your audiences – via search engines, and on-page. How your press release is structured directly affects its optimization. With today’s emphasis on the actual on-page content, the decisions you make about what language to use, placement of keywords and use of anchor text will affect the overall quality of the optimization of the press release and its overall effectiveness. In this section, you’ll learn how the different parts of your press release are utilized in the overall optimization process. The Title Tag – At the very top of each web page is the title tag. One of the most important SEO factors, the Title Tag carries real weight in search engines. The title tag (and, specifically, the language contained therein) strongly influences how search engines interpret and index a web page. The Search Engine Results Page description (“SERP”) – The SERP description is what people see initially when your press release shows up in their search results. PR Newswire uses your headline and subhead (up to 300 characters total) to populate your SERP description. Because headlines and subheads are crafted to grab a reader’s attention, they are perfectly suited for this important role. H1 tag – Part of the underlying HTML of the release, the H1 tag reinforces other optimization factors and can help focus the search engine’s attention on a key aspect of the overall message. By using the headline, we repeat a powerful, clear, richly descriptive phrase and amplify your release’s key message. Start your headline with the most important keyword in your press release. Keep your headline fairly short – 60 to 80 characters are optimal. Your subhead can be a little longer – but try to keep it to two lines or less. Use descriptive language that you’ll repeat in the body of the press release when writing both the headline and subhead. The Search Engine Results Page description (“SERP”) – The SERP description, as described above, is key real estate – for both search engines and your readers. Your subhead will be used to populate the SERP if your headline is short – a total of 300 characters can go into that field. H2 tag – part of the underlying HTML of the release, and just behind the H1 tag in authority, the H2 tag is populated with your subhead, where it amplifies your message and helps focus the search engine’s attention on your overall message. Five years ago, Google didn’t read your press release; it read the underlying HTML code. Today, Google – and other engines - can effectively read your press release. The Meta keywords tag is largely ignored. As a result, SEO best practices today are focused more on the on-page content, and less on the keywords placed in the Meta keywords field in the release HTML. For that reason, PR Newswire’s system makes minimal use of this field, populating it with informative but limited information drawn automatically from the press release. The information that does go into this field includes the name of the issuing organization, geographic information, and industry and subject details. We still field questions from PR pros wondering whether it’s possible to optimize a press release for a list of keywords they supply (i.e. keyword stuffing). Because this practice offers little benefit at the most and, at the worst, can be detrimental, it’s not supported by our system. Keywords are important, and they belong the text of the press release. Use them there! Paying attention to how you write your press releases, what language you use, and how you structure the release itself can pay big dividends. By staying current on SEO tactics and adhering to the best practices enumerated above, you’ll soon see new and gratifying results for your press release campaigns. Comments Off on Social Media Explained: What Is Snapchat? Social Media Explained: What Is Snapchat? All the kids are using Snapchat—but is there room for your small business marketing on the social messaging platform? So, is there a there a place for Snapchat in small business? Yes, if your demographic is young and tech-savvy, it may be the place to be—even if just for a second. Your prospects are often confused about what they should do about their problem. They may not be sure about what solutions are available, and which solution would be the best for them. They are also confused about which companies provide these solutions and which company would provide them with the best solution, best service, and best price. To Eliminate Confusion . . .
You can help to eliminate your prospects' confusion by being one of the few company's that provides free, helpful information about their problem and possible solutions. Of course, you would also include information about your products and services too. Since few businesses go out of their way to help their prospects or customers eliminate their confusion, your business would stand out from the crowd. With all the exaggeration and distortion of facts in the media today, it's natural for consumers to be skeptical of many marketing claims and promises. Will the product really do what it says? Will I get what I pay for? Will it be worth the price? Will the company stand behind its products and services? When prospects are skeptical . . . they don't buy. How can you be sure your prospects will not be skeptical of your promises? To Eliminate Skepticism. Make sure that you stand behind your products, services and promises 100%. Do everything you can to let your prospects and customers know that you are an honest and ethical company to do business with. A strong, money-back guarantee on your products and services will go a long way in gaining your prospects' trust. What are your prospects afraid of? Same things you are when it comes to buying products and services. They're afraid of sales pressure. They're afraid they may look dumb if they don't understand. They're afraid of making the wrong decision--a decision that may cost them a fortune in lost time and money. To Eliminate Fear . . .
Let them know up front that there will be absolutely no sales pressure. Let them know that there will be no obligation. Let them know that you will help them to understand your product or service in easy to grasp terms. No jargon. Let them know that you are here to provide the information they need to help them solve their problem. Replace the Three Obstacles . . . Your prospects will buy from you if you can replace each of the three obstacles with the following . . . Replace Confusion with . . . Certainty. Replace Skepticism with . . . Trust. Replace Fear with . . . Confidence. Google My Business is one of the most powerful tools available to help you rank higher in local search results and reach more customers. But to take full advantage of this opportunity, you must claim and complete your profile and make sure it’s optimized to be found by customers who are searching for businesses like yours. Manta’s 29-point guide provides all the answers you need to build a dynamite Google My Business profile, boost your SEO, add your location to Google Maps and rank higher in local search. Google My Business is Google’s listing platform for companies. Millions of small, medium and large businesses have Google My Business profiles that help them boost search rankings and get in front of local customers. 2. Why Should Your Business Use Its Google My Business Profile? Setting up a Google My Business profile for your company will help your company show up in Google search engine results, Google local search results, and Google Maps results. Use this automatic business listing tool to see how your company appears on Google My Business other online business listing sites. 3. What Do Google My Business Listings Look Like? 4. How Much Does Google My Business Cost? There’s no charge to add your company information to Google My Business. “It’s free to use, and it gives local businesses a way to manage their online presence by verifying and updating important information,” Schroth said. 5. How Does Google My Business Work? 6. What Does Google My Business Do? 7. Do You Still Need Google+ or Google Places for Business Pages? Represent your business as it’s consistently represented and recognized in the real world across signage, stationery, and another branding. 8. Do You Need to Create a Separate Small Business Listing for Google Maps? Your location information is automatically integrated with Google Maps from your Google My Business dashboard. 9. How Much Can You Manage From the Google My Business Dashboard? Everything you need to manage for your small business’ appearance on Google you can manage from the Google My Business dashboard. 10. Is My Company Already Listed on Google My Business or Google Maps? Begin by searching for your business in the Google My Business search bar. If your company information is already in Google’s system, it will appear on your screen. Google will ask you to verify the contact email on file for the account. If Google has no information on your business, it will lead you through a series of steps. Follow these prompts to add your business information to the site. You’ll be required to verify your business with Google, which we’ll get to in the next section. 13. What if Someone Already Claimed My Business on Google? An additional step in the process of listing your company will arise if someone has already claimed your listing. To lock down ownership of your listing, you’ll need to request a transfer of listing ownership or request that person—maybe an employee in charge of managing your digital marketing—add you to the account as a listing manager. 14. What Should You Include on Your Google My Business Page? The information you include on your Google My Business profile seems self-explanatory. But there are best practices every business owner should follow in the way their information is presented on Google My Business, said Barber. “You want to make sure that all your business details are consistent with other online listings. Google pulls your NAP from all different sources, but if you can tell them the correct information through a consistent business citation, you will increase your online visibility on search engines on local search,” said Barber. “Google wants to see that your ‘about’ section is completely unique, and not pasted from your own website. By having a unique description, your targeted keywords and business focus will be more in-tune to become more visible on the search engines. Don’t forget to include a hyperlink right in the description for maximum GMB return,” he said. “Choosing the correct business category is vital to get found for the correct user’s searcher intent. By pinpointing your correct category (less the better), you will show up for the right types of search traffic. If you are having difficult deciding which category, look at all your competitors and scout out the winning listings and copy their category,” he said. You can manage up to 10 business locations from a single Google My Business profile. For more than 10 locations, you’ll need to use the Google My Business Locations dashboard. 16. Are Duplicate Google My Business Listings a Problem? Duplicate listings for a single business location can undermine the value of your Google My Business listing, said Alicia Glaser, the local search lead for digital marketing agency Pure Visibility. with old addresses or different versions of your business’ name. Merge or close these locations,” advised Glaser. First, delete the Google+ page of the old listing (if there isone). Next, send a message to Google My Business support staff on Facebook or Twitter, or start a chat, request a callor send an email. 18. How Do You Edit or Change the Information in Your Google My Business Profile? Adding photos to your Google My Business profile will also add those photos to Google Maps and search results. Remember, customers are visually motivated, and photos of your location and products or services will go a long way towards attracting new business. 21. What are Google Reviews? Customers can review your business on Google. This two-minute video explains how Google reviews work for small businesses. 22. Do Customer Reviews Show Up on Your Google My Business Listing? Yes, customer reviews show up on your Google My Business profile. The one- to five-star rating at the top of your Google My Business listing as it appears in search results and on Google Maps is determined by the number of positive ratings you receive from customer reviews. Google reviews are important for potential customers who are still in the “research phase” of making a purchase, said Mulqueen of Odd Dog Media. People who see great reviews are more likely to try your company instead of your competitors. And those Google star ratings are “the most crucial ones,” he said. 23. How Can You Get Good Reviews on Google? “The way to get good reviews on Google is to simply ask for them,” said John Nesler, lead writer and researcher for Post Modern Marketing. Customers don’t think about leaving an online reviews, even when they have really good experiences. “In fact, they’re usually most inspired to go to the bother of writing a review when they have a bad experience,” he said. That makes it doubly important to ask happy customers to leave a review. “When you have an interaction with a customer that just feels really solid and good, and they strike you as someone who is well-spoken, simply ask them, ‘Hey, would you be willing to take a couple minutes to review us on Google? '” More often than not they’ll be happy to help you out, said Nesler. You might also consider handing out a flyer with a link to your Google My Business page and a request for a review, recommended Jim Lastinger, CEO of digital marketing firm Deep Field. “However, you only want to give the flyer to customers that are clearly satisfied and most likely to leave a positive review,” Lastinger cautioned. 24. Should You Pay People to Leave Positive Google Reviews? No. Never, not under any circumstances, should you pay someone to leave good reviews on Google. “It’s a violation of Google’s terms of service with regard to reviews (as is the case with Yelp),” said Nesler. If a happy customer is reluctant to leave a positive review out of the kindness of their own heart, you might “offer them a small discount on their next purchase,” he advised. “Write a detailed, thoughtful response in which you address the person by their first name, thank them for being a customer and writing the review, and adding any salient points about your interaction with the customer that you think might put you in a good light,” said Nesler. The downside to positive Google reviews from your happy customers are the occasional bad review every business is likely to receive. Be calm and courteous. Don’t write a response when you’re frustrated and angry. You need to be firmly in control of your emotions. Find your happy place. Don’t debate the person in public. A he-said she-said situation is Get the interaction away from prying eyes. Lead off with a courteous, “I’m very sorry that you had an unsatisfactory experience with our business.” Then provide contact details where they can get a hold of you directly. You need to be in full-blown A+ customer-service mode. That doesn’t mean that you should be self-deprecating orapologize a million times. Rather, make it clear how your customers’ experiences should play out. What they should experience. What will happen when they walk through your door. Google My Business’ really important function is that is uses your small business’ location (or locations) to determine your placement in local search rankings. Local search results show businesses in the vicinity of the customer doing the Google search based on your physical location and theirs. The top three businesses returned in local search results show up in Google’s Local Three Pack. The local pack is a box that appears at the top of location-based Google search results. Google’s location-based local search results are “critical for helping customers find you easily,” said Schroth of prWorks. Competition for Google’s Local Three Pack is heavy, he said, and it gets harder every day for small businesses to earn that special place at the top of local Google searches. “Invest the time into creating and maintaining a Google My Business listing as well as the supporting local elements, and you’ll reap the benefits of higher placement and greater visibility” for your small business, said Schroth. 28. How Can You Compete for a Place in Google’s Local Three Pack? You can see how your company measures up on Google My Business by conducting a “near me” search. Near me searches use an internet user’s location to suggest businesses nearby. “To understand the local competitive landscape for your business, search for your business’ category with the phrase ‘near me’ in Google to see what type of accounts are showing up in Google Maps and the Knowledge Graph,” recommended Glaser of Pure Visibility. “You will more than likely see that listings with reviews show up first organically,” added Glaser. She suggested clicking on those top businesses to see what they’re doing differently and what you might do to improve your own near-me ranking. 29. Can You Manage Your Google My Business Profile from a Smartphone? Download the Google My Business app for Android here. Download the Google My Business app for iPhone here. Comments Off on Do You Have Too Much To Do? When we have too much on our plate it’s usually because we have too much on our mind. You have to get off the treadmill and start focusing on what’s most important and most fruitful. Find some quiet time alone, even if all you have available is a few minutes.Focus on your breathing, ask yourself what is most important to you.Continue paying attention to your in-breaths and out-breaths (in through the nose, out through the mouth). Don’t try to think of an answer. Just keep focusing on your breathing. Eventually, thoughts of what you value most will come to you. If they don’t, keep up with the breathing for as much time as you have available. If time runs out or you get tired just continue on with your day or go to sleep and try again later. Eventually, answers will come to you. Once you have some answers you’ll be better equipped to make time for what’s most important to you and say no to what’s less important. Don’t be afraid to say no to things that distract you, tempt you, make you feel guilty, make you feel like you aren’t good enough or not doing enough. Don’t be afraid to say no to yourself and the voices of people from your past or in your life now that cause you to run a race that’s not yours to run. After you've selected the keywords you want to optimize your website for, you need to focus on what is called on-page optimization. On page, optimization is what you do on your website pages to improve organic rankings. The good news is that through years of research and experimentation I have identified the most important on page factors for improving organic rankings. There are a variety of optimization factors to consider when optimizing your web pages. I have found three factors, in particular, to have more of an impact than others when correlating them to search engine rankings. In particular, meta tags, URL structure, and page load speed all have a direct impact on search engine rankings for particular keywords or keyword phrases. Meta tags are important to web site rankings because they provide some basic information to search engine spiders. Meta tags need to be formatted correctly to enhance search engine rankings. My research as shows that meta tags by themselves cannot radically improve rankings. It is my belief that meta tags may be used to verify other aspects of your website and are important for getting users to click through from search engine results. The best-formatted meta tags should include a title tag that includes the keywords that you are trying to optimize for. It is recommended that the size of the title tag is sixty or fewer characters as this is the limit shown in Google search results. The second meta tag is the description tag which should be limited to fewer than one hundred and fifty characters and repeat your keyword phrase no more than two times. The last meta tag worthy of description is the keyword tag. I see this tag misused all too often and it may actually be hurting your search engine rankings. When using a keyword tag, focus on only a dozen of your most important and highly trafficked keywords. Search engines should know that you are an authority site and worthy of top rankings. Do your research and only include the keywords that truly matter. You can also evaluate the sites in the top positions and model their keywords as long as they are included on your web site or blog. Once you have your meta tags within your web page code it's time to focus on the next on page optimization factor. The load time of your web pages matters a great deal to Google and other search engines. Not only does your web page need to be formatted correctly but it needs to load quickly. Fast loading web sites mean a better user experience. Search engines like Google reward you for providing the right information quickly to web site browsers. Keep load times to a minimum and continually work to improve the speed at which your site loads. The third and certainly one of the most important factors is URL structure. It is true that having your keyword in the URL helps but it is not the only or the most heavily weighed optimization factor by Google. There are plenty of examples of sites that include the keyword in the URL being outranked by other web sites. If you can purchase a URL that has your keyword in it though, consider it advantageous. If you are unable to do so, consider adding a folder or page to your site that includes the keyword you want to optimize your site for. A good example would be www.sample.com/keyword. By doing so you are placing your keyword close to the root and giving it more value. Also, consider a sub domain strategy. Before you begin any search engine optimization effort, evaluate your web site, landing page, or blog from the perspective of meta tags, load speed, and URLs. There are additional on page factors we'll discuss in the next lesson, but the three mentioned herein are vitally important to your search engine optimization success.